Recently it came to light that Clark and her government officials have a bad habit of triple deleting emails and records that should be protected under the Freedom of Information Act. This isn't the first time this problem has come up during Clark's time in office. Recently it came to light that Clark and her government officials have a bad habit of triple deleting emails and records that should be protected under the Freedom of Information Act. This isn't the first time this problem has come up during Clark's time in office. Back in 2012 concerns were raised about the increased number of Freedom of Information requests receiving responses claiming related documents couldn't be found. The B.C. Liberal executive announced her resignation after three criminal charges were officially laid against her in Ontario, stemming from -- you guessed it -- destruction of documents. Even after the charges were laid and Miller announced her resignation, Clark continues to defend her calling her "a person of integrity." Given their triple-delete policy, I'm guessing the word "integrity" has a very different meaning to the B.C. Liberals than it does to you or me. 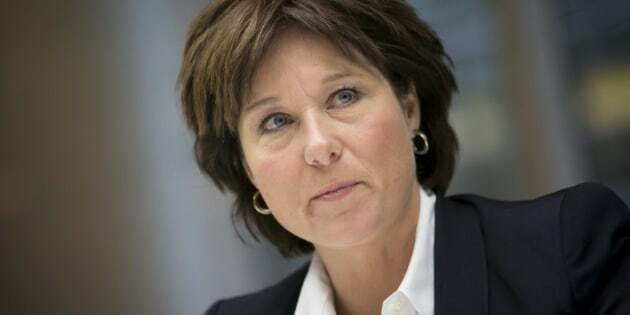 Clark made a trip to Haida Gwaii, where she made a surprise announcement that the Liberals were going to give the Old Massett Village Council (OMVC) a grant of $150,000. The money is for a feasibility study of a proposed $4-million expansion to the 40-student elementary school on the reserve. The issue here is that the grant announcement gave a boost to the campaign for Chief Rae, who was narrowly re-elected shortly after and just so happens to be a big supporter of a $10-million wind farm proposal involving Clark's brother. The other curious factor to the grant is that because the school is on reserve land, it is funded federally, not provincially. Furthermore, there have already been two expansion studies done in the last 10 years. The Liberal government has given the go-ahead for a company to transport and dump 100,000 tons of contaminated soil per year for 50 years at a site in Shawnigan Lake located dangerously close to the community watershed. Members of the Shawnigan Residents Association are not taking this decision lightly and currently have two court cases pending to appeal the decision. There have also been protests at the dump sites to block and prevent trucks from dumping. While the Liberals have continuously claimed that the water is fine, recently released reports by the Vancouver Sun show the province has known of elevated nitrite and arsenic levels in the groundwater for more than six months. A new logging permit was approved by Clark and her government, leading environmentalists to once again defend our beautiful and dwindling old growth forests. Some say it could lead to an all-out war reminiscent of the famous protests in the 90s to protect Clayuquot Sound. Clearly our government sees no problem with destroying these rare and treasured forests, some of which contain trees that are more than 1,000 years old. In fact, I would say the Liberals envisioned such actions when they passed the Working Forest Act in 2003, which cleared the way to privatize our forests by eliminating most of the barriers involved in selling or logging public or crown land. It's also worth noting that they passed this act despite public input showing 97 per cent of people opposed the policy. The sheer volume of reports of children dying, being physically and sexually abused, being left for months in hotel rooms, unnecessarily kept from parents and even taking their own life under MCFD's watch this year alone is both horrifying and shocking. Even more sickening is the constant denial of any wrongdoing on MCFD and the government's side. It doesn't take a genius to see there is a problem with the system -- it is failing children all over this province and there desperately need to be changes. Instead, Clark and the minister of MCFD continue to defend their broken system and put their pride above the needs and best interests of the children in this province. Both Miley Cyrus and Pamela Anderson spoke out against the B.C. government's wolf cull, with Anderson stating that the wolf cull will do nothing if caribou do not have a protected habitat to thrive in. (Ironically, the government knowingly destroyed the crucial habitats decades ago with logging and deforestation.) Clark, on the other hand, decided to respond by saying, "If we ever need twerking advice we will go to Miley," adding "... both Pamela Anderson and Miley Cyrus, when they open up their closets, they probably don't find a lot of clothes." Keeping it classy, Ms. Clark. From breakdowns to fare increases to naming contests gone wrong, B.C. ferries are often in the news, and not in a good way. The most recent of these stories was about the sale of the Wueen of Chilliwak, which, after receiving $15 million in repairs about three years ago, was just sold for a drastically reduced price of $1.8 million. Even worse was the fact that it was sold to a previous B.C. ferry executive, who currently resides and runs a ferry company in Fuji. Can anyone say "conflict of interest?" This very well could go down as the worst disaster of Clark's time as premier once the dust settles and the true damages come to light, along with the inevitable conclusion that we might never have needed it in the first place. Thousands of hectares of farm land, houses and properties are currently and will continue to be destroyed or disturbed. In fact B.C. taxpayers paid millions for prime farmland that will be flooded by Site C. It's even harder to grasp the long-term effects on the wildlife and environment, which have been dangerously understated by our government. This post has been modified to update it with new information.